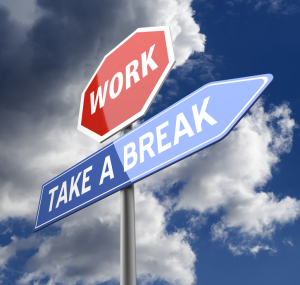 California labor laws require employers to provide meal and/or rest breaks for employees who work more than a certain period of time in a given work day. When employers fail to honor these laws by not providing these breaks – or forcing people to work through them, workers will have options for holding the employer accountable. At Koron & Podolsky, LLP, our Sherman Oaks attorneys have extensive experience advocating workers’ rights and helping them stand up to the employers who have violated them. Offering big-firm resources and small-firm personalized services, our lawyers have the knowledge, skills and experience you can rely on to help you pursue all available legal remedies when an employer has prevented you from taking breaks at work. A second meal period for those who work at least 10 hours in a given day. If an employee is not relieved of all of his or her work duties during the meal break, this period will be considered to be “on duty” time, meaning the worker is entitled to be paid for it. Meal and/or break waivers – Workers can waive their right to meal and/or break times by signing a waiver. Such waivers must be voluntarily signed, and they cannot try to preclude workers from collecting overtime pay. Filing deadlines – In general, workers who want to proceed with break & meal time violation cases will have to file their claims within three years of the alleged violation. In other words, there is a three-year statute of limitations for these cases. Potential remedies – When successful, these types of employment cases can result in compensation that includes one hour of pay for every workday that workers were denied their meal brakes. Additional damages may also be available in these cases, depending on the details. If an employer has prevented you from taking the breaks you are legally entitled to, contact a Sherman Oaks employment lawyer at Koron & Podolsky, LLP to find out more about your options for justice.